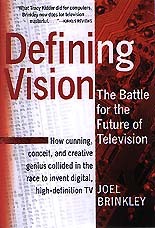 HDTV or DTV will begin to replace analog television by the year 2000. (Actual occurrence: 2000-2009). DTV replaced Analog June 2009. You probably have heard quite a lot in the news lately, especially if you are a television buff about HDTV (High Definition Television) or DTV (Digital Television). With the TV's color started with Bonanza!...the Cartwrights were never so colorful. But alas, Hoss' face was blue and the sky was pink. The colors were a wash - sort of like water colors; my dad and I spent the whole hour trying to get the color/tint just right. The only other show in color was Walt Disney's Wonderful World of Color. I must admit cartoons looked better in color than black and white. Other Networks like ABC and CBS started to broadcast in color. Color commercials came later and eventually, local television expanded from B&W to color in the sixties...it wasn't until the 1970's had all local stations converted over to color, almost 20 years since color debuted. the next generation in television will be like a sequel to evolution of the Color TV..
"The following program is brought to you in High Definition Digital Format on NBC..."
AT&T was part owner of Direct TV and Zenith co-developed the HDTV standard that will be used in the United States for digital television. 1997: Already, several local stations have started broadcasting in test mode. HDTVs are expected to be available sometime in 1998, but only if you are willing to spend $2,500-5,000! for those first units. Six major cities will begin simulcast broadcasting HDTV on separate channels/frequencies in 1998. By 2006, however, according to FCC rules, all broadcasting will be digital and thereafter analog will discontinue. By that time most HDTV systems will be well under $1,000. 2000 Update: When this article was first written in 1996, HDTV was very new, and quite expensive, most monitor/receivers around $5-10,000; but today the cost is beginning to come down. Although there are still very few HDTV broadcasts relatively speaking (compared to regular NTSC analog), that is about to change. All major networks are starting to broadcast several shows, like ABC's 780p, NBC's Tonight Show in 1080i, CBS and PBS and HBO. To date, there are 122 stations broadcasting DTV. The dawn of a new age in television is at hand: One can buy a system starting around $2,400. Although this is not where the price-point will bottom-out, it puts it closer to reasonable affordability. Today Direct-TV now broadcasts several HDTV channels including an all HBO HDTV channel. With RCA's new DT-100 receiver, costing around 649.00 connected to the new RCA MM36100 monitor which for now costs $2,299.00 (The monitor is a 36" multi-sync multimedia (not wide-screen), tube based (not projection), interfaced to either an outside terrestrial antenna or perhaps RCA's new Direct-TV plus compatible elliptical HDTV satellite dish (DSA8900E) for $199.00, you may not merely just see quite an improvement to regular digital broadcasts, but you will be able to watch actual HDTV. Of course, you could easily spend more for a system. Once the prices drop to below 2,000 and more importantly, HD broadcasts begin to proliferate, expect to sees sales take off (not unlike DVD has). Note: if you don't get a HDTV system by 2006 (now 2007-9), you will have to buy an adapter so you can continue to watch analog, because that's when the channels you watch today will be disconnected...expect to see huge sales in those adapters for the millions whom want to continue to watch TV! I plan to purchase, install and experience the above configuration over the next few months, so I will keep you posted...On March 11th, it was delivered. What problems are facing the early adapters of this new technology and what caveats remain for it to become mainstream? To receive over the air broadcasts, you will probably need an outside UHF antenna. This will permit you to watch the major network offerings. Cable television may be the last to adopt HDTV. 2001 Update: HDTV starts to take off! Local stations across the nation are now going DTV. Here in the Orlando area, we started with WOFL, the FOX affiliate with CH 22-1. In just a few months this spring, we now have CH 39-1 (ABC), CH 11-1 (NBC), CH 58-2 (CBS), and recently CH 41-2 (UPN) and CH 17-1/2 (WB). I can receive all of these just a small indoor antenna, much to my surprise (most of the signals are over 20 miles away). Fall 2001 saw the debut of the first full-time HD network dubbed HDNet. They start with broadcasting a lot of sports including Major Baseball, National Hockey and other specials. They are only available on CH. 199 on DirecTV but at no additional cost. The CBS 1080i lineup of programs in HDTV are superb. This fall the U.S. Open and many College Football games will be broadcast in 1080i. ABC has, in addition to Disney and other movies, NYPD Blue in 780p and DD 5.1. ABC just announced that they will provide all of their 2001 fall line-up in 720p. The Winter Olympics in Salt Lake City were broadcast in HDTV via NBC and HDNet. DirecTV will begin to broadcast Showtime in HDTV. Commercials in HDTV will start to appear. All the major networks have increased their primetime lineup with HDTV. The WB now broadcasts several of it's primetime shows in 1080i HDTV. DTV Central @ etown.com- one of THE best DTV resources!